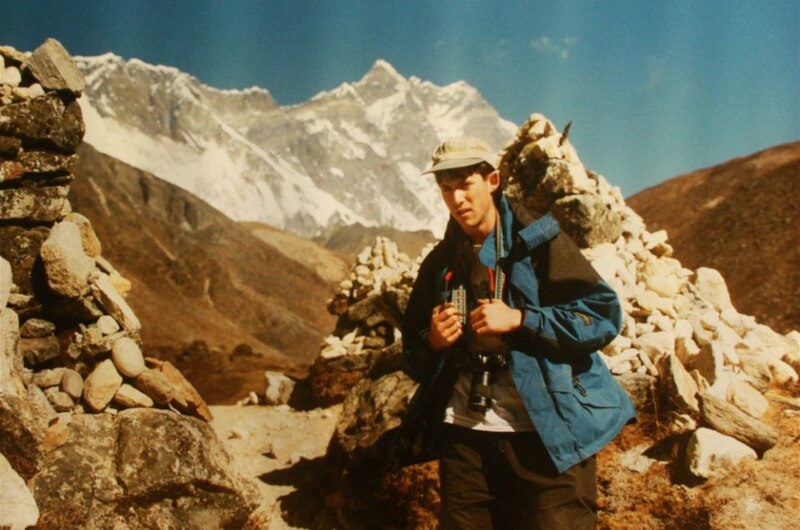 My life of international travel began in 1996 with a trip to Nepal. 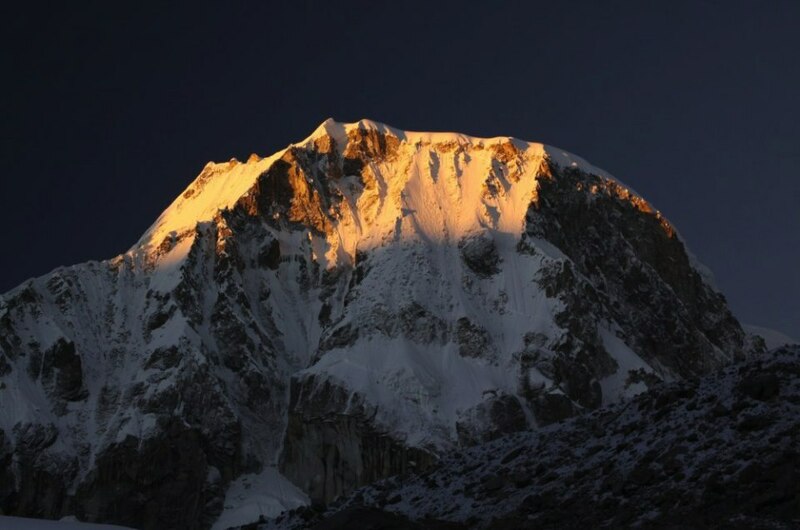 Nepal, a small country in Southeast Asian, is home to the tallest and perhaps most inspirational mountains on the planet. Its people boast a rich culture, with a cuisine far different from that in the west. I’d planned a hike to above the Everest Base Camp, and was with our trekking group at high elevation—approximately 16,500 feet or 5000 meters—when I was hit with a combination of food poisoning and altitude sickness. I became so weak that I could not able walk. My symptoms worsened, and at midnight our guide informed me that he was going to have to carry me down the mountain accompanied by another hiker who was also suffering altitude symptoms. He perched me on his shoulders and we arrived at a lower stone hut/camp at 2 a.m. He left us both there. Morning came, and I felt no better. It was critical we get down the mountain to a lower elevation. There was no one else with us—just me and the other hiker, who by morning had mostly recovered from her altitude sickness. We fashioned a sling from my sleeping bag. We tied it around her neck and I sat on it and hung on to her back while she carried me down the mountain. The problem was, she also carried her full-sized backpack and my smaller one. She would carry both backpacks far down the trail, come back for me—I was vomiting every 20 minutes and becoming weaker and weaker—pick me up on her back, carry me past the luggage, drop me off and repeat the process all day. At one point she left a note pleading for help on the side of the trail for anyone who would happen to pass by. Late in the day we fell to the ground, both exhausted. After lying there for a few minutes, I started to gain energy and soon could walk on my own power. By sunset I had strength again, and together we made it safely to one of the lower stone huts, where I collapsed inside. The experience haunted me for months to follow. Traveling to a country with such a vastly different culture, then struggling through illness with only the help of a stranger, had changed me. The experiences on this trip became a part of me. After Nepal, I began to seek out environments that were different from the one where I grew up. I craved the sensory overload that travel often brings, especially in countries that are inherently different from mine in their customs, religions, food and way of life. I want to enrich my perspective on the world. Some of my most memorable trips have been when I “embedded” myself with locals and became a part of their daily life. 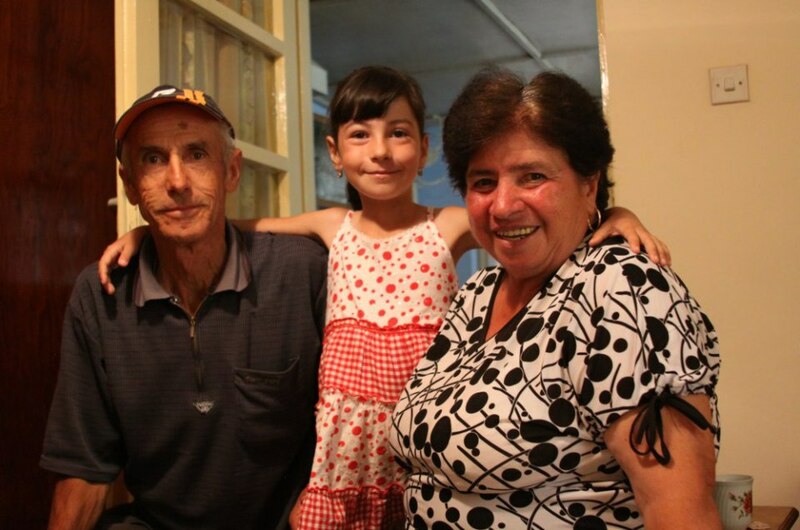 During a trip to Romania I lived with villagers, milking cows, helping make Rakia (a fermented juice from prunes) and meeting their friends and family. And despite the hardships trekking in Nepal I continue to visit high mountains, craving the inspiration that I have when I am alone high on a mountain peak. In partnership with Airbnb. “Book a home. Get a unique view of the world.” Watch the Airbnb video here.